The trap is approved in England to catch grey squirrels and rats. The new Spring Traps Approval (England) Order 2018 can be viewed by clicking here. The new STAO came in to force 1st January 2019. The trap is approved in England for the Grey Squirrel and (just like any other spring trap) must not be used where Red Squirrels are present and must be used according to the conditions of the Spring Trap Approval Order. Similar orders are due to be made by the Devolved Administrations between now and 31 March 2019. We are now taking pre-orders for the Goodnature A18 Squirrel Trap! What will you get inside the box? Please sign up to our Game Rearing email newsletter here to get notified of any updates! And we can’t wait to be able to send them out to you!! 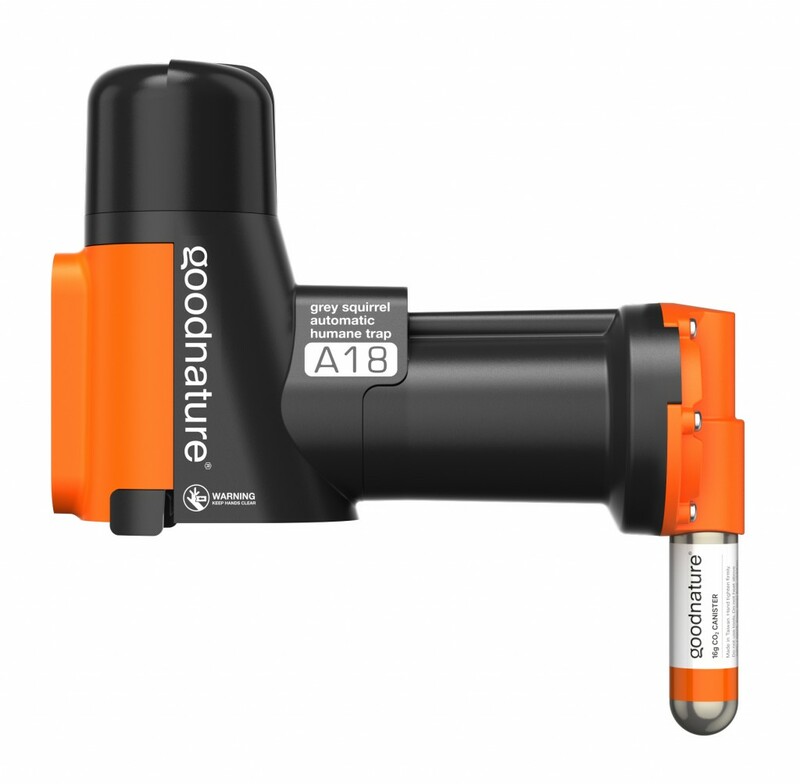 We are shipping the A18 Goodnature Traps from Monday 10th December 2018! To give you some time to read the instructions, to become familiar with the trap and to choose locations to site the trap we will begin shipping from 10th December. However the trap will not be legal for use in England until 1st January 2019. There are no dates yet for legal use in Wales, Scotland or Northern Ireland. It is a great time to start pre-feeding your trapping sites! It’s all systems go. Happy trapping!! I have a big problem with the Asian Mongoose killing my chickens! Was wondering where I can but this A18! The A24 for rats and mice are sold at Amazon, but I need the A18! Can I get these in the United States ? From very recent experience I can report that the favoured diet of grey squirrels is horse chestnuts (conkers). They are even preferred to peanuts. The lure that will be used is a dedicated Hazelnut lure that has been used successfully in non-lethal trials in Buckinghamshire. The next phase of trials will be held in August with the ESI and another conservation group.